Do you love spa session? Yes I do. 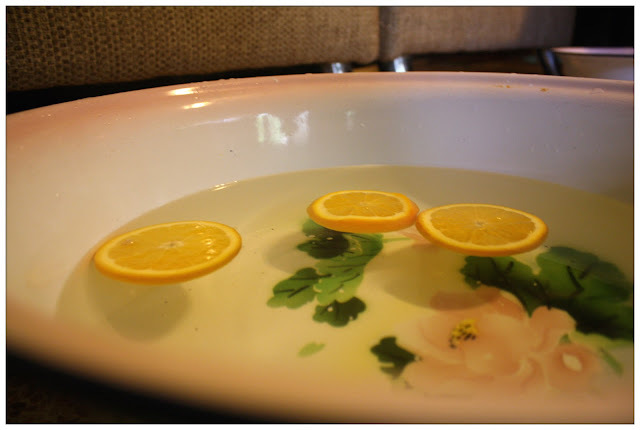 I love spa very, very much I ALMOST signed a package deal just because I love how relaxing it feels and helps me regain more energy to deal with all the hectic schedule I have recently. Where Vila Manja Spa is at. 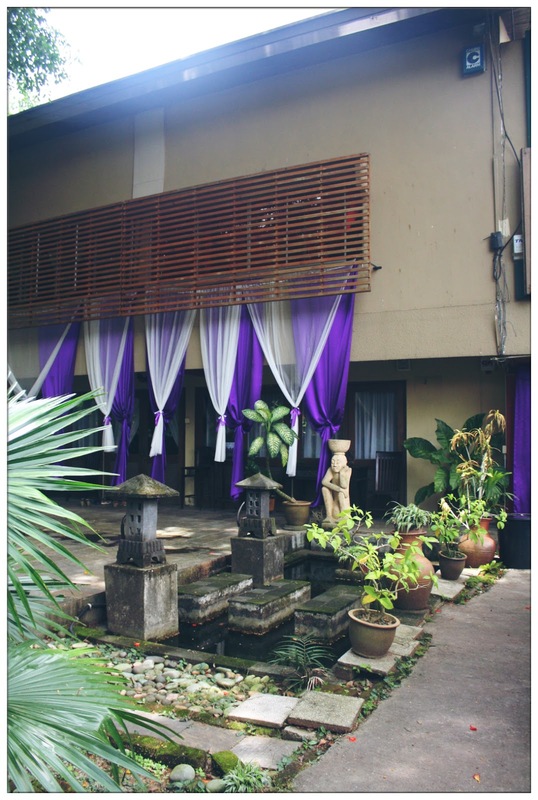 Well-decorated place with Balinese style. I love this place so much can!!! 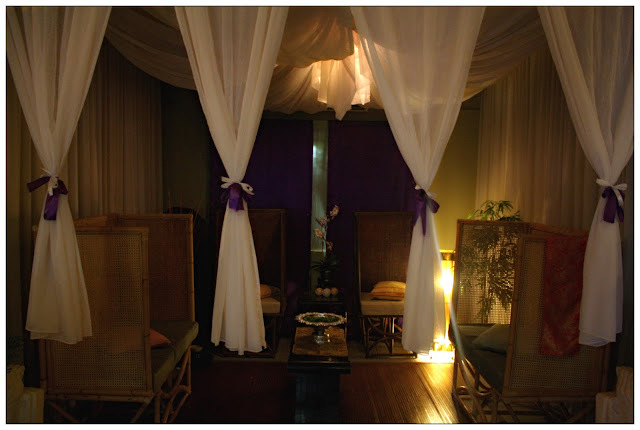 Tammy is the regular costumer of Vila Manja Spa because their services is so good! This will be my first time visit Vila Manja Spa and I just can't stop aweing at each and every corner of the place. It was so cozy and its authentic Asian interiror kinda makes me forget all the hustle bustle of the city for that moment. 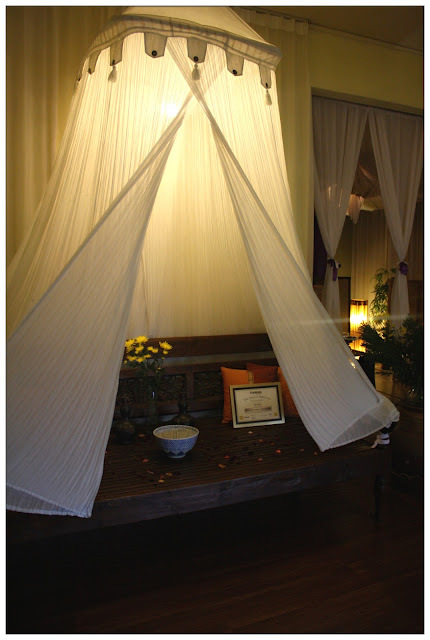 This Day Spa centre was awarded as The Best Day Spa by Expatriate Lifestyle. So, what is this Bachelorette Sparty is about? Sparty - Spa + Party, is an all new package deal brought to you by Vila Manja Spa for the bride-to-be and all her bffs to gather together and enjoy a spa session. It is such a perfect girls day out and definitely an extremely enjoyable one don't you think so? Roses all around, romantic level up!!! The Sparty session will be held at the dining lounge where there are plenty of spaces to chill around, best of all, the dining lounge is all yours to be enjoy. Peggy, the owner of Vila Manja Spa came over and say Hi to us and explained what is included in the Bachelorette Sparty package and we are so happy to hear all the good services we're getting that day. First thing first - FOOD!!!! 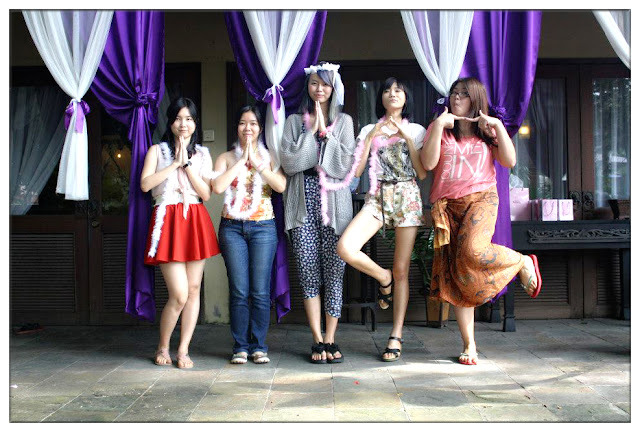 We were served with Vila Manja Spa's AWESOME GINGER TEA upon our arrival and then all the yummy food which is included in the bachelorette sparty. 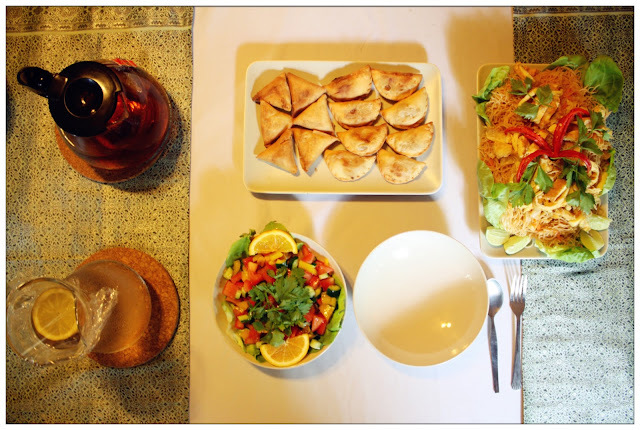 1 Salad, 2 plates of snacks, 1 maincourse and juice/tea were served to us. I love their curry puff so much! 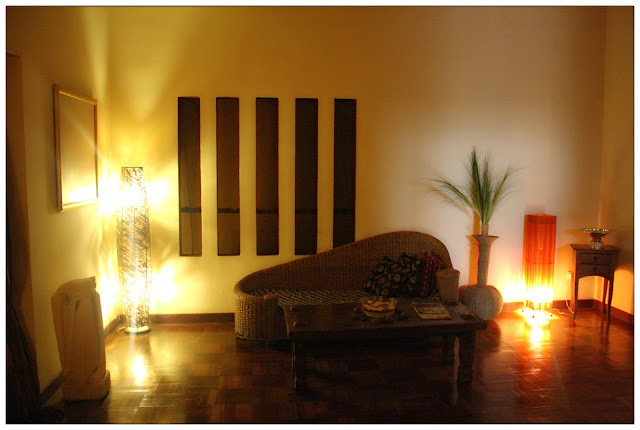 I was told that some of the spa's regular customers stopped by Vila Manja Spa just to get some ginger tea from them! That's how delicious the tea is! 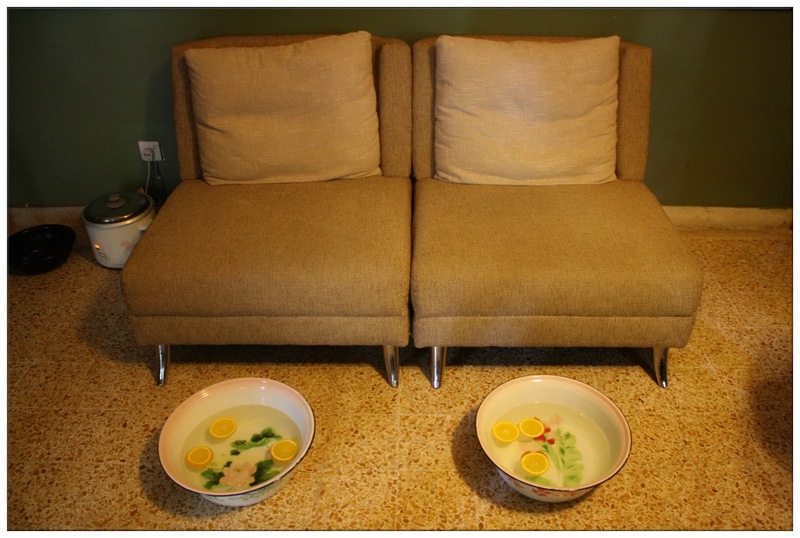 While some of us are enjoying the food, some were lead to the cozy sofas to start the spa session. Warm water with orange slices to soak our feet. Lisa and Jean were among the first to try out the Orange Coffee Footsie Spa. The orange coffee footsie spa is a soak plus foot scrub and massage. 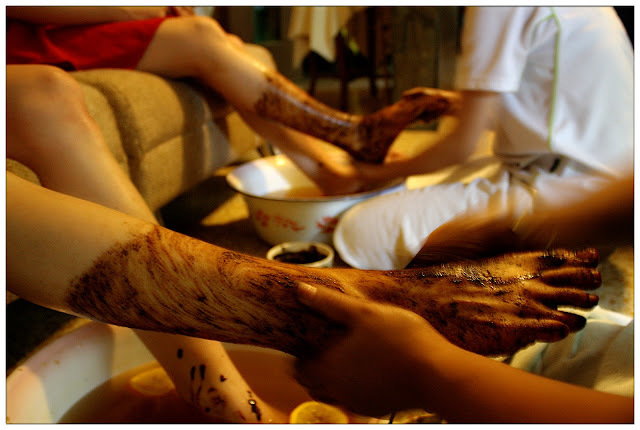 The scrubs are using aromatic coffee to exfoliate all the dead skin cells of our feet. 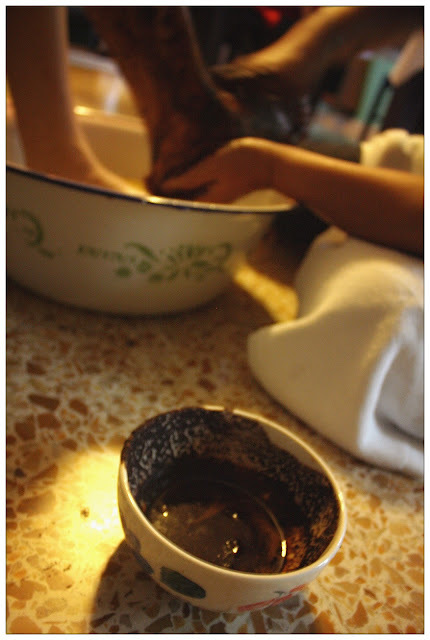 Masseurs at Vila Manja Spa are so skillful that both of my tired feet are literally on cloud nine that day. This is how they do it - Coffee all over your feet and scrub!!! Coffee and Orange smells filled up the room, makes us feels so good! This bowl of coffee scrub smells so good that makes all of us wanna drink it. lol. That was the best foot massage I ever had, even better than those I experienced at Koh Samui. The strength of my masseur is so good, the scrub and massage did covered all my legs and my nerves were so relax after the scrub and massage my legs never felt so good. If you like strengthful massage like I do, you will love it. Needless to say - skillful hand massage! After hand massage, comes another manja treats I'm looking forward for in this Bachelorette Sparty, which is the shoulder and neck hot stone massage. This is my first time experiencing hot stone massage, to be honest I'm quite excited for it! Hahahaha die die insert one of the nicest photo Tammy helped me took. Throughout the shoulder and neck hot stone massage, I feel so relaxed. Just like the previous footsie spa and hand massage, the masseur's massaging skill is so nice and powerful all my tensed nerves are at ease. Lovin' her massage, makes me wanna visit Vila Manja Spa now now now!!! Best is while enjoying the relaxing massages, we girls can chat happily and enjoying the tea time at the dining lounge. 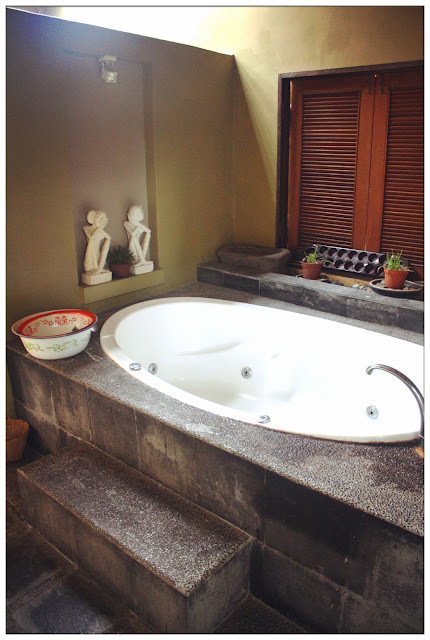 3 hours private use of the dining lounge located inside the Vila Manja Spa mansion. 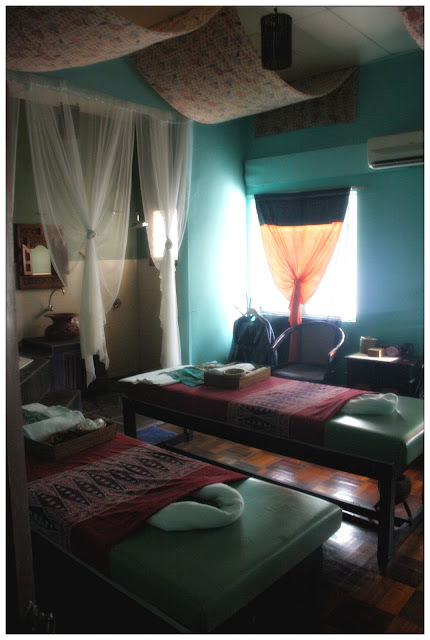 Perfect space for massages and bffs gathering. The total spa session allocated for the Sparty is 3 hours. 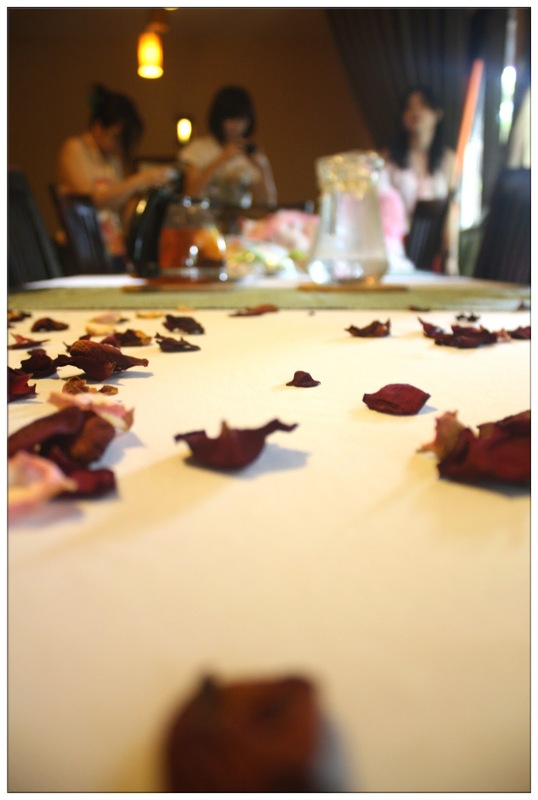 The actual spa session for each guest depends on the number of guests for the party. Besides the wonderful manja treats, there are Top-Ups available to make your party a more blasting one. Margaritas at RM70 per jug. Manja Pink Gift Set for guests at RM20 per-gift set inclusive of RM50 of cash voucher and Pink Gift of The Month. Manja Pink Gift Set for Bride-to-be and her guests. After the 3 hours of spa session, Marianne of Vila Manja Spa become our "tour guide" and bring us look around Vila Manja Spa's mansion and the services they offer. 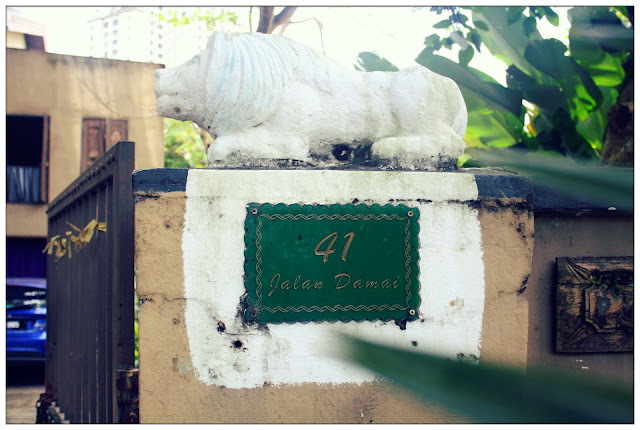 The Asian ambience of the mansion really brings us away from the urban hectic lifestyle and just relax in the quiet and peaceful atmosphere that brings us the calmness from within. Couple room with a private bath tub inside the room. So close to nature, don't you think so? 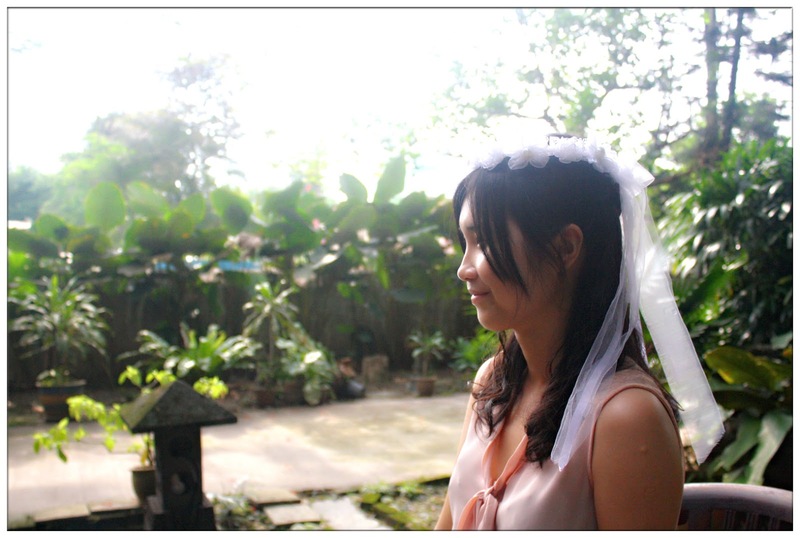 The huge mansion is very unique that after the Bachelorette Sparty, bride-to-be and her guests can held a mini photo-taking session around and leave some beautiful memories to share together. That's what five of us did, we took so many beautiful and also hilarious photos together. Miss all the laughters. Funny people do silly things together. 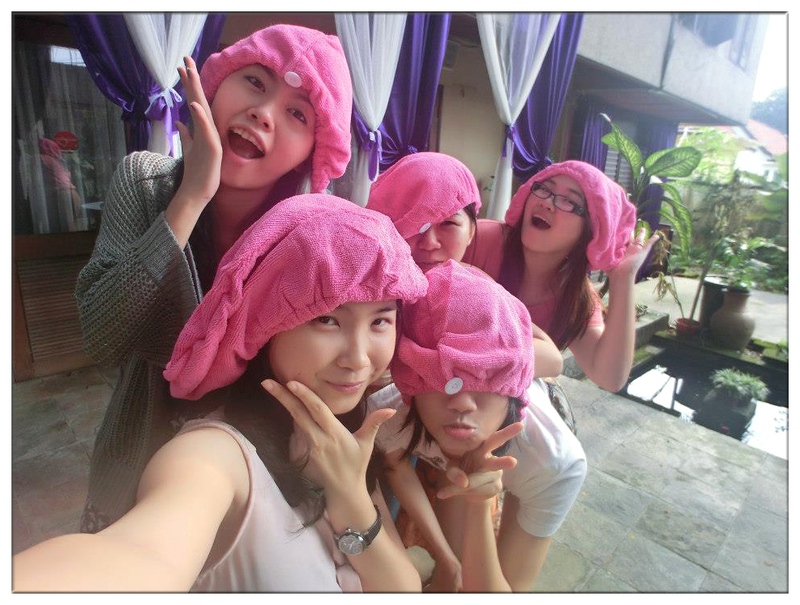 Such a memorable spa experience. wow nice compilation of your experience Reiko. I like her die die must show pic.. hahaha..it was an accident when I took it!!! Ah I love vilamanja! Marianne is a wonderful lady! We're popular around the globe for the thorough feet masssagers. These types of multifunctional feet massagers may provide three-in-one motion in your feet. With regard to advertising blood flow, liberating muscle mass pressure, as well as reducing tension we're right now providing best foot massagers within dependable cost.